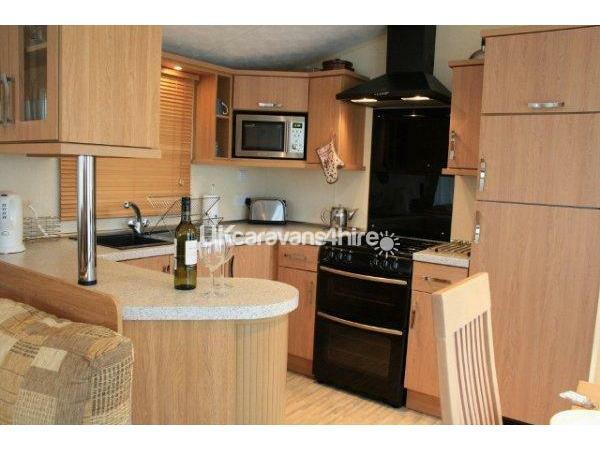 Additional Info: This Luxury caravn has a Large private garden Area with large secure balcony(great for the children or pets) with views of the sea and rolling hills...just perfect! 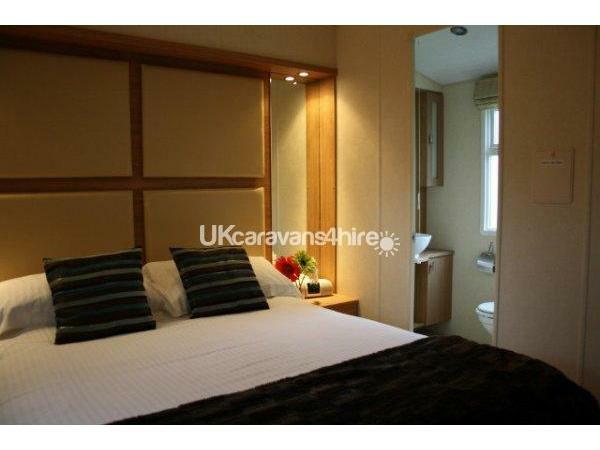 Inside, boasts En-suite to main bedroom, Luxury fixtures and fittings, it's like home from home. Our lets run Friday to Friday. Check in 4.30 and check out 12.30pm (not the normal 10am rush departure time), Bed linen supplied with all lets. Gas, Electric and Water included in the price too !! 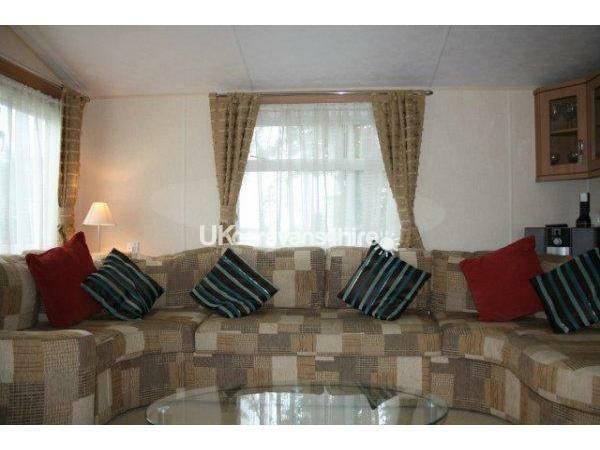 This luxury caravan is modern, well equipped, 2 bedroom 4 to 6 berth, 1 double & 1 twin, with sofa bed in living area. Full size fridge, with separate freezer, plus microwave. Gas central heating and en suite to the main bedroom. Linen supplied for all bookings. It will feel like home from home, also boasting plenty of living space and luxury furnishings throughout. 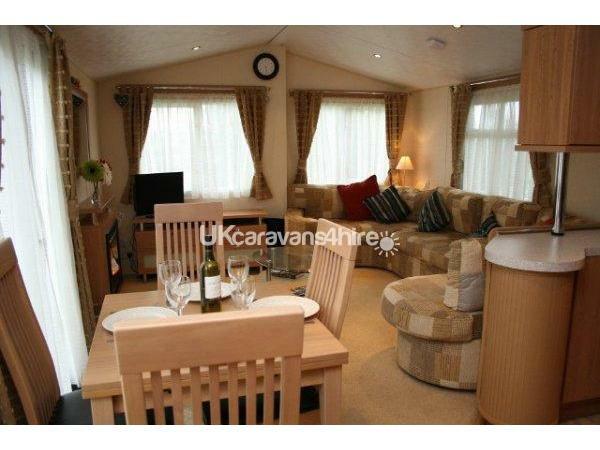 TV in lounge with Free View & TV in twin room - PS2 and games - board games. the living area, open up onto a 20 foot beautiful secure balcony, which then steps down onto your own very secluded garden area. Weekend rates available, contact me for details. 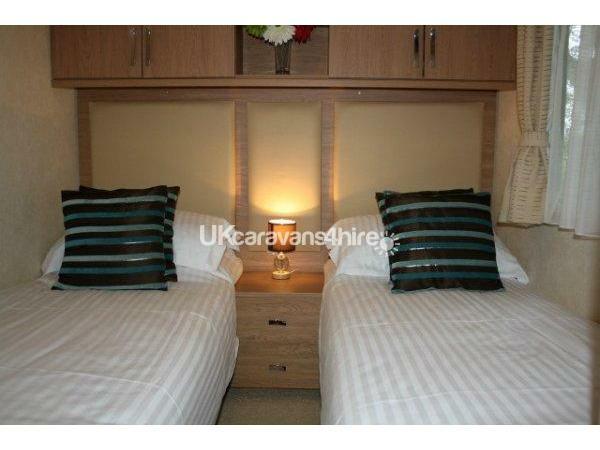 Deposit is £100 (non refundable) and full payment 4 weeks before your stay. Preferred payment to be made, direct via a bank transfer. Bank details will be supplied. Directions to Swanage: M3 to M27, join the A31 to Tricketts Cross, join the A35 to Lytchett Minster. Take the A351 toward Wareham, Corfe Castle and Harman's Cross to Swanage.One mile past 'Welcome to Swanage' sign, turn right into High Street. Then take the first right into Bell Street, continue up the hill then first left into Priests Road. 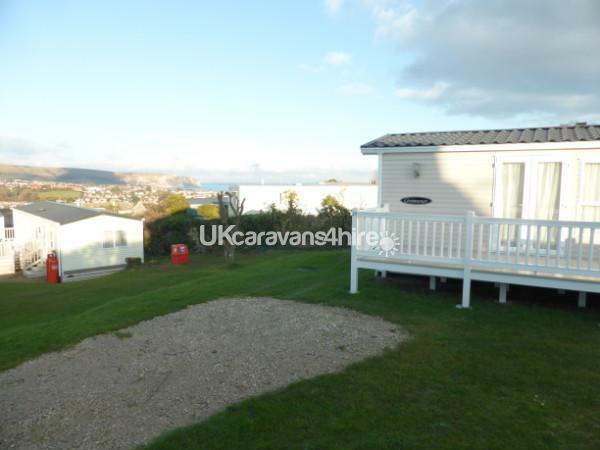 Take the first right into Swanage Coastal Holiday Park. 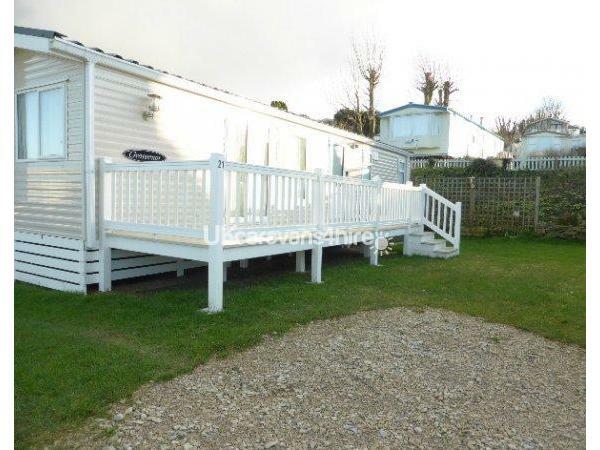 The nearest main line train station to Swanage Coastal Park is Wareham (9 miles). The Swanage Railway is a six mile long steam railway and is not on a main line. Find bus information for reaching the park on the Wilts & Dorset website. For our guest travelling from further afield Bournemouth International Airport is around 28 miles from the park. Out and About: Swanage marks the start of the world famous Jurassic Coast, which stretches from 'Old Harry Rocks' down to Exmouth in Devon. 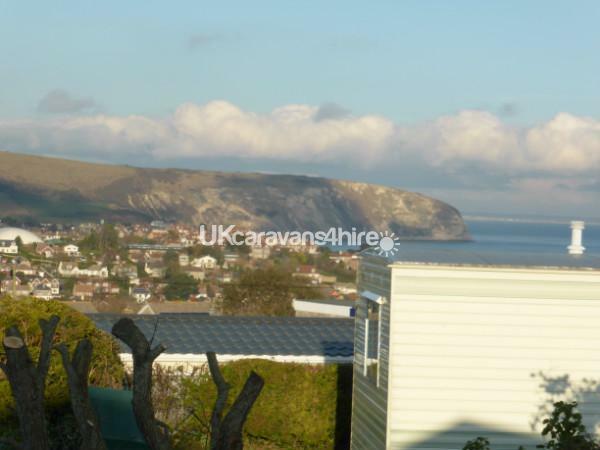 The park is situated just one mile from Swanage town Centre, home to a whole host of attractions throughout the year. The famous towns of Bournemouth and Poole are only a short chain-ferry journey away. 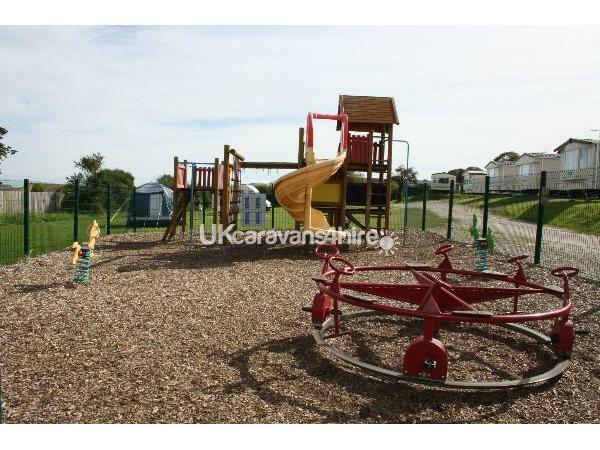 This beautiful site also has an outdoor play area for the children, plus! 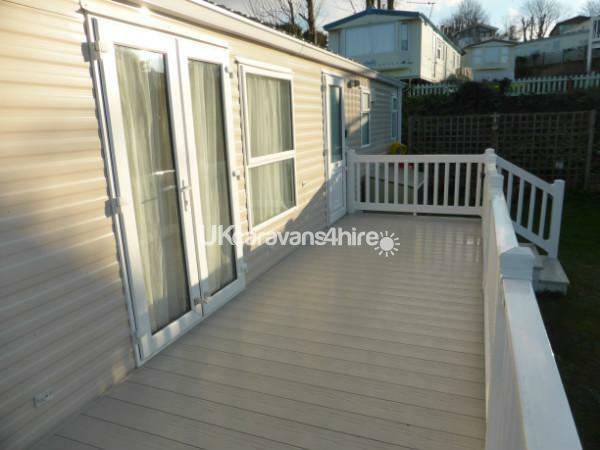 less than 3 minutes walk from the Caravan is the adjoining site, were at a reasonable cost you can use the swimming pool and restaurant (with kids entertainment in season times). Best of both worlds! Quiet site, with facilities nearby. 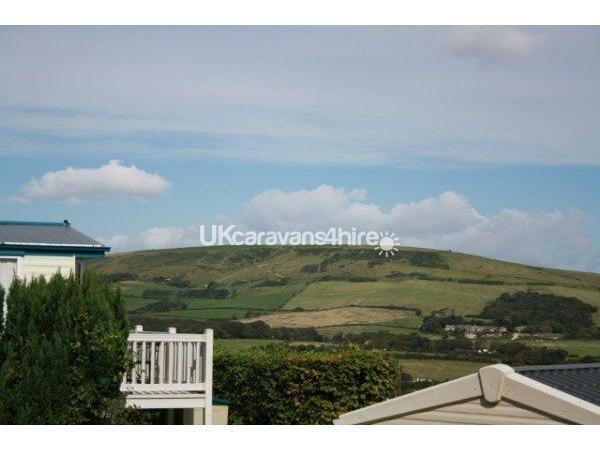 Additional Info: There is a club house, on the next site, which is 150 yards away from the caravan. Small charge to use indoor pool.